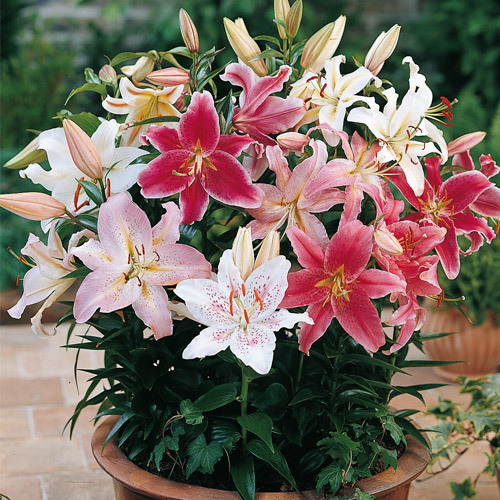 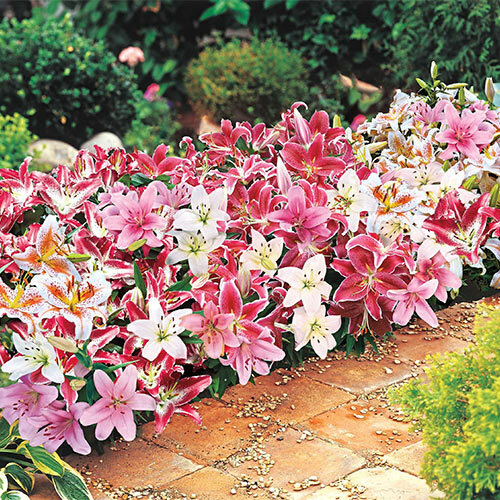 A beautiful blend of lush, low-growing lilies gives an amazing look to front borders, pots and floral arrangements. Their shorter stature and strong stems keep the blooms upright through wind and rain. 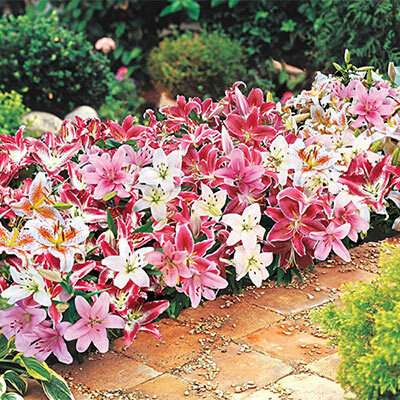 Includes lilies in shades of red, white and pink.